First published in 1999, this volume examines antiquarianism which had its roots in Renaissance thought and was a popular intellectual and cultural pursuit throughout the eighteenth and nineteenth centuries. The antiquarian work of collecting, compiling and presenting material which exposed the past was seminal to the formation of social and national identities. 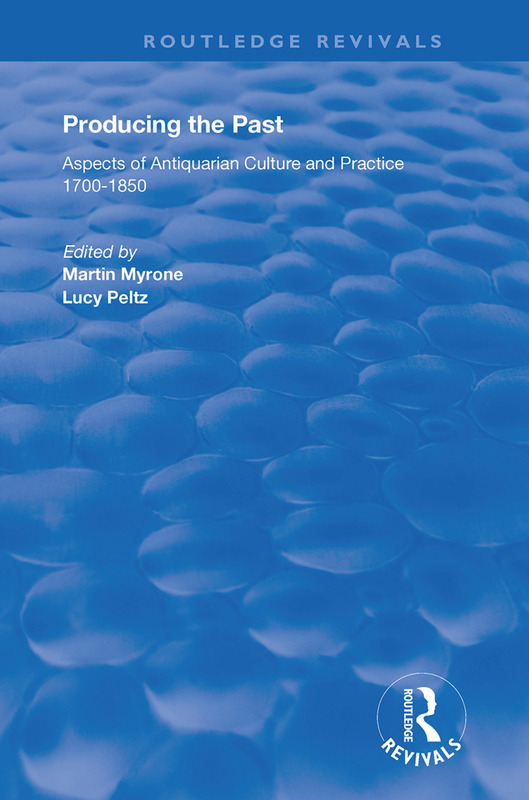 These essays evaluate the cultural and poltical implications of antiquarianism in the period 1700-1850. The volume also considers how the antiquarians laid the foundations of later museum culture and the discipline of history. With a preface by Stephen Bann and introduced by Martin Myrone and Lucy Peltz, Producing the Past has contributions from Stephen Bending, Alexandrina Buchanan, Susan A. Crane, David Haycock, Maria Grazia Lolla, Heather MacLennan, Martin Myrone, Lucy Peltz, Annegret Pelz, Sam Smiles and Johann Reusch.